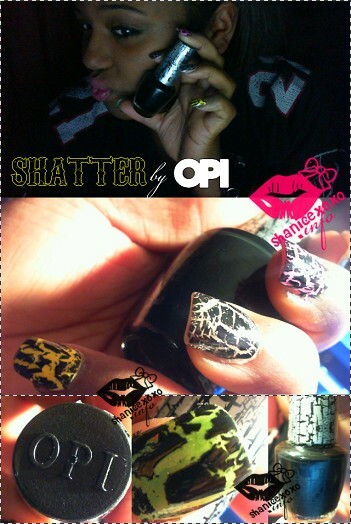 Everyone on youtube had been talking about shatter / crackle nail polishes from OPI & Chine Glaze. What they fail to mention was that Barry M. was the FIRST nail polish company (to my knowledge) to come up with this nail polish effect. Then came along OPI and China Glaze. But I understand why everyone obsesses about OPI's and China Glaze's because we don't know where to buy Barry M. products in the U.S. Anyways I've been following these nail polishes since Barry M. launched it..I've been wanting it so badly and I finally got OPI's. YAY!! !